Employee Privacy and Monitoring Electronic Communications - Resnick Law, P.C. Employer protection of proprietary information, trade secrets, and potential liability can often lead some employers to take steps to monitor the electronic communications of their employees. How an employer chooses to do this may sometimes run afoul of the law, and therefore, employers who want to monitor employee communications have to be careful about how they do so. Michigan is one of several states that limits the kind of information an employer may require an employee to provide regarding his or her private email or social media communication. Specifically, Michigan law prohibits employers from asking employees to provide usernames and passwords for private social media accounts or private email accounts. Employers are also prohibited from retaliating against employees who refuse to give this information, and from failing to hire someone because he or she refuses to provide this information. Employers are prohibited from gathering and storing information relating to an employee’s associations, political activities, publications, or communications of non-employment activities without the employee’s written consent. The only exception to this prohibition is for activity that the employee engages in at work, on the employer’s premises, and that interferes with the duties of the employee or of other employees. When such records are kept conforming to the exception, the employer is required to keep the information gathered in the employee’s personnel file. The employer cannot keep a secret file that the employee is not allowed to access. The employer is allowed to keep a separate file if the employee is suspected of being engaged in a criminal activity relating to his or her employment, for example, if the employee is providing the employer’s protected information to a competitor. In that situation, the employer can keep a separate file and only disclose it to the employee after the investigation is concluded or after two years, whichever comes first. Employers may also generally be required to reveal employee information that may otherwise be protected if the employers are compelled to do so under state or federal law. This can happen if the employee is under investigation by state or federal law enforcement agencies that are seeking the information pursuant to a warrant, subpoena, or other court order. In many cases, the kind of access an employer has depends on the circumstances and the employee’s expectation of privacy. For example, if an employer informs all employees that it has access to and regularly monitors employee internet history on work computers, the employees arguably have no expectation of privacy on work devices. Employee use of personal devices to conduct work duties may be more difficult for the employer to monitor, although not impossible. Striking a balance between security and employee privacy can sometimes be difficult and can lead to legal problems for you as an employer, as can instituting the wrong policies. 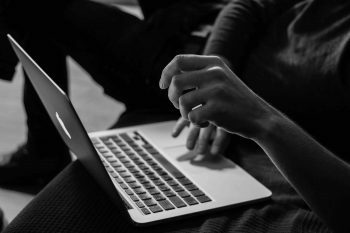 If you are an employer contemplating employee privacy rules to protect proprietary information or the company image, you need to discuss your approach with an experienced electronic transactions dispute attorney. Contact us at Resnick Law, P.C., in Bloomfield Hills and Detroit, Michigan, to schedule a consultation.